After my one-day trip series now it’s time to enjoy Fall. In the northern hemisphere, fall arrives in September, which indicates the transition from summer to the winter season. I have already shared my this year’s bucket list on social media and I had also wrote dedicated the post on “Fall Bucket List” last year. 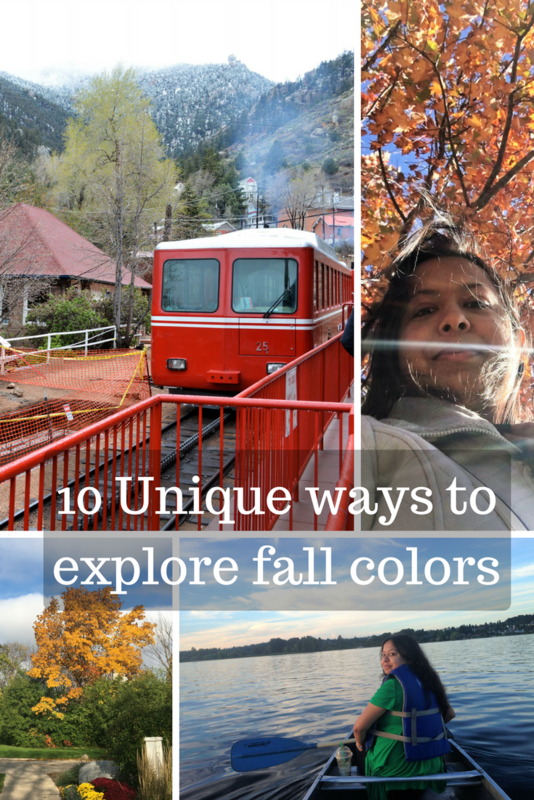 Hence today I am sharing 10 unique ways to explore fall colors. Before you plan your fall trip check whether the fall colors have arrived or not? I live in Wisconsin and I always check the Wisconsin Fall Color report before I plan the trip. Going for hiking is my most favorite thing to do in fall. You can observe fall colors closely. For hiking, you don’t have to go too far. Choose any nearest nature center or state park and decide what kind of hiking you want to do? I prefer easy or medium lever hiking, especially for fall so that I can enjoy the colors while staying active in the cold weather. As there are crazy hikers around the world, you will also find a group of bikers who love biking all around the year no matter the weather. There are national and state parks where you will find dedicated trails for bikers. This is also a fun way to explore the colors. Taking a helicopter ride is the best way to observe from the top but not everyone can afford it. Don’t worry I am not asking you to empty your pocket for top view. 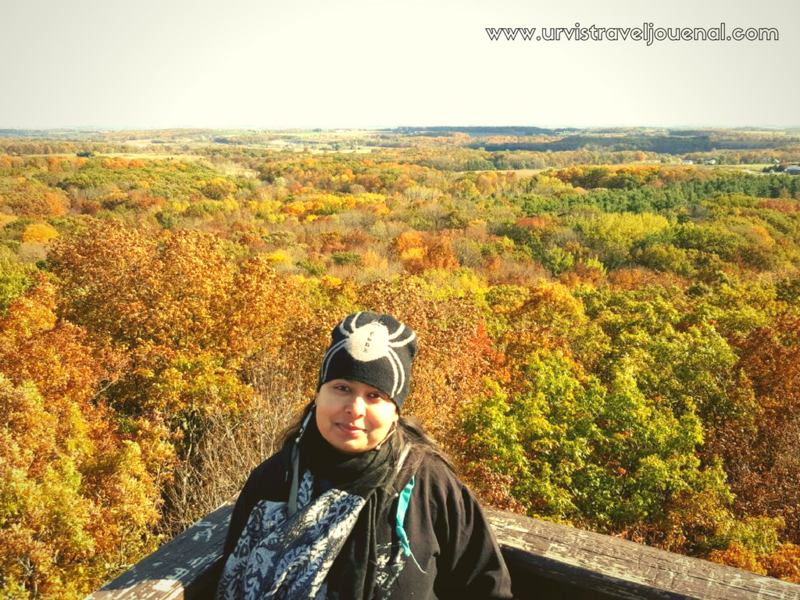 Instead of helicopter ride find a skyscraper, observation tower or lighthouse near you from where you can see the fall colors. You just have to climb few hundred stairs and you are on the top. Can you at least do that to stay on a budget right? 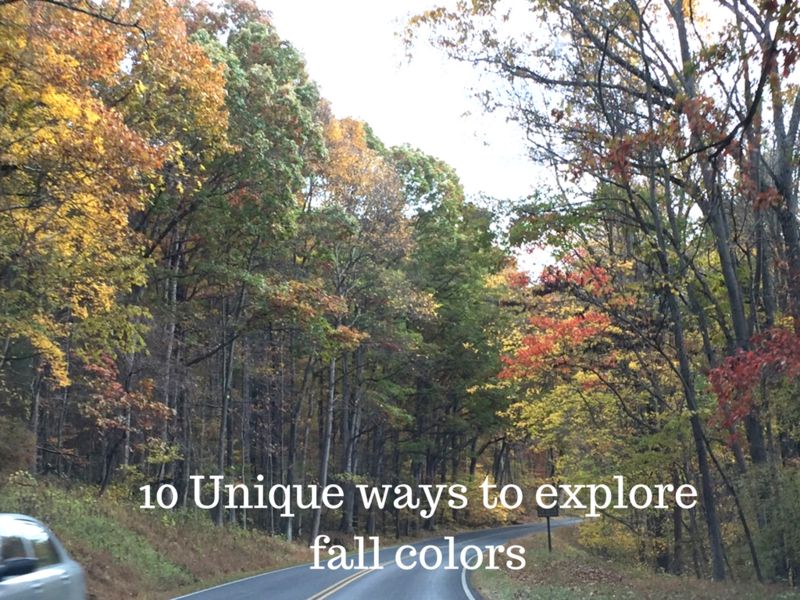 Want to see fall colors in a unique way with your loved one then taking a hot air balloon ride is for you. Many vendors offer specialized balloon ride packages, which you can customize according to your need. Many balloon ride starts early in the morning and late in the evening. The view from the top is simply amazing. Have you ever been on a train ride? If not then this is the right time to take a ride. Wisconsin offers beautiful scenic train ride and it’s the best way to explore the countryside of the Wisconsin. Some railway also offers dinner train but you have to book those in advance. Enjoy the crisp air and fall foliage through this unique ride and make your fall season memorable. As we all know the north part of Midwest is considered in Great Lakes So how can you miss the lake activities. As the temperature drops water becomes steady and cold, kayak through the lake and observe the reflection of colorful trees on the lake water. Many people take out special time to capture those view. All those ski areas which usually flooded in the winter with ski lovers but what about the other seasons? These ski areas provide chairlift rides during other season and it’s a great way to enjoy the view of fall foliage from the top. If you are looking for the more adventurous way to enjoy the fall colors then zip line canopy tours are the way to go for you. I know Lake Geneva and Wisconsin Dells offer zip line tours. Find the one which is nearest to you and have fun. I am pretty sure you have heard about the scenic drive, right? Those who love road trips like me obviously prefer this method to enjoy the fall colors. The best thing you can view the colors from the comfort of your car. You can pull over a few spots and enjoy the view and take the pictures. I usually carry hot coffee during my road trips. Cold breeze and hot coffee, awesome life. The horseback riding is an old-fashioned way to enjoy the fall colors. You can also enjoy wildlife watching with horseback riding. I am sure it will be so much fun and different way rather than usual hiking and biking.